So you’ve done some research and you know that a solid art portfolio is required for your application, but you might not be sure how to put it together. Relax; it doesn’t have to be scary. Here are our top five tips to get you started. 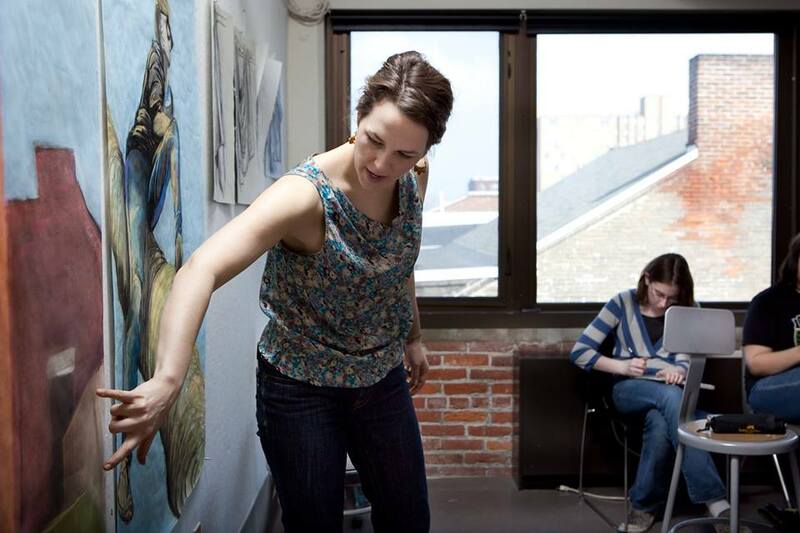 Pennsylvania College of Art & Design requires 10-15 pieces of artwork that demonstrate variety and skill including a minimum of three drawings from observation. But remember—you can’t sacrifice quality for quantity. Make each piece count. Don’t compromise the integrity of your portfolio by doing too much with too little. Spreading yourself thin won’t win you any favors. If the medium you’re most comfortable with is photography, make sure you include enough examples to demonstrate your expertise. We want to see areas of strength but also a willingness to try new things. The trick is striking a balance between strong work and showing that you’re ready to have your horizons expanded, take on new challenges, and most importantly, learn. Your sketchbook is an excellent addition to your portfolio because it gives an honest and in depth look at you, the artist as a person with progressive talent. Though you might consider your sketchbook to be one of your most personal and private possessions, it can do wonders for your portfolio so don’t leave it out! PCA&D understands the immensity and importance of the admissions portfolio, so we’re hosting a can’t-miss workshop on November 15th, 2014 from 2:00 pm – 5:00 pm. Our workshop will be lead by Heidi Leitzke, BFA degree program faculty member and gallery director, along with PCA&D graduate and admissions counselor, Nicole Duquette ’08. Make sure you bring some of your current artwork to get valuable feedback from a professional artist and admissions expert—as well as other potential art students! Register for the workshop today or contact us at ce@pcad.edu or (800) 689-0379, ext. 1019 for more information. You should consider making a day of it! PCA&D is also hosting their November open house event on the 15th from 11:00 am – 2:30 pm. The event is free to attend and is a great opportunity to meet faculty, current students, and alumni as well as representatives from admissions, financial aid, and student life/housing. You can also submit your application at the open house and PCA&D will waive the application fee!